Belgium international Thibaut Courtois has stressed that he is committed to Chelsea for the remainder of his contract. The 25-year-old has been heavily linked with a move to Real Madrid in recent months with the European champions said to be planning a squad overhaul of their squad. Earlier last month, Courtois cited that his heart is in Madrid where his children are presently resided, but he has now clarified that he will remain with the Blues for the final year of his contract. 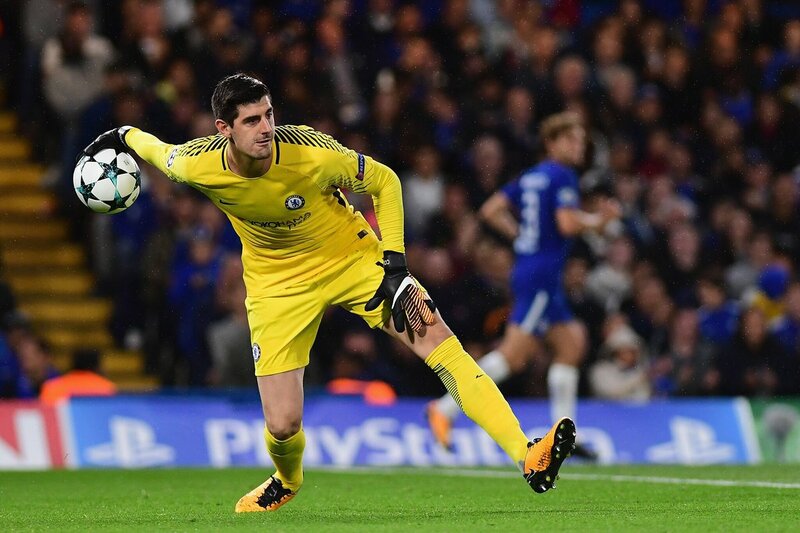 Courtois had an off day against Barcelona in the Champions League, where he could have done much better with two efforts from Lionel Messi, and he will be hoping to put in a better performance in the FA Cup this weekend. Blues boss Antonio Conte has gone with Willy Caballero for the earlier rounds of the Cup competition, but he could be tempted into playing Courtois in the quarterfinal at Leicester City. Unlike in previous seasons, the FA have decided to scrap through the replays for the last-eight stage, and the Blues need to find a result at the King Power Stadium against a Leicester side, who are unpredictable with their style of play. Leicester had failed to win a single league match through the month of February before beating West Bromwich Albion by a comfortable margin last weekend. Copyright © 2019 fun zone. All rights reserved.